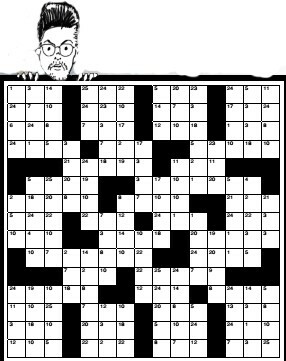 Heid Byler’ is a clueless crossword. The grid is filled only with common English language words with no abreviations. The numbered squares 1 through to 26 on the Solutions Grid correspond to a letter of the alphabet A-Z only, and not in that order.